The Ultimate SPF Edit: 5 Face Sunscreens You Need To Own. 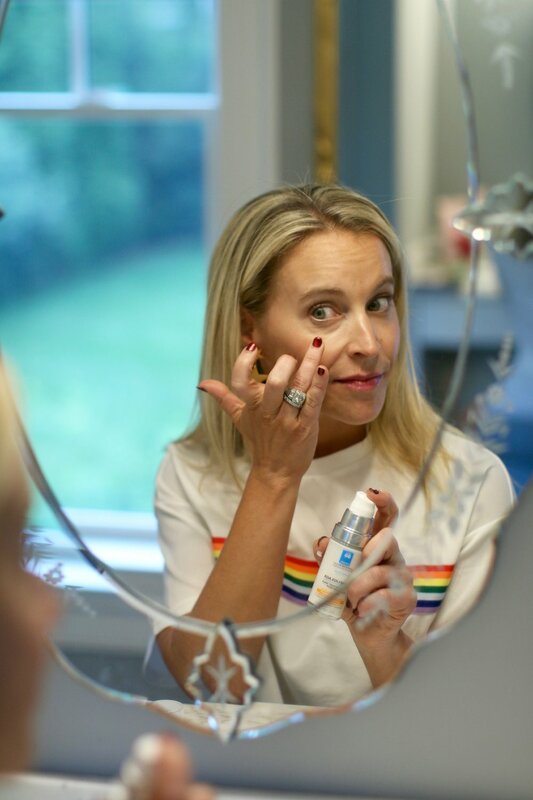 Light and easy to make part of your everyday skincare routine- this makes putting on SPF just one of those things you automatically are inclined to do each morning. It's all about habits, people. You should wear primer anyway on hot days when you plan on wearing makeup, and this formula is perfection. Minimizes the look of pores and fills in those fine lines for youthful appearance, instantly. It has sold out 6 times already, and I can see why- it leaves skin looking more even and glowy, and it is made with super clean ingredients. If chalky-looking sunscreen is your pet peeve, this is the answer to all your issues- goes on beautifully! I featured this in my recent Today Show segment- not only do I love the travel-friendly format of a stick, but it is just as glow-giving as my favorite highlighting sticks, but with a big time bonus- sun protection where you tend to need it most- the contours of your face that tend to get the most sun. Beauty Insiders are OBSESSED with this brand's sunscreens because Elta somehow has figured out how to make a physical sunblock that doesn't clog pores, melt off in the heat or leave skin looking pasty. It uses Zinc Oxide (the gold standard when you want to REALLY protect your skin) but has formulated it in such a way that it is suited for normal and oily skin. One perusal of the reviews on Amazon validates the accolades this brand continually gets from dermatologists and beauty editors alike. These Readers Trends Are Worth A Closer Look.